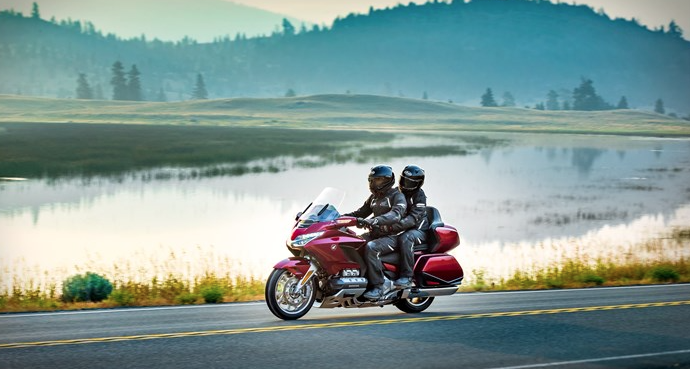 The Honda Gold Wing, considered by many to be the coolest touring motorcycle ever manufactured, is flying towards a new era with a radical makeover for 2018. Since its introduction as a naked 1000cc machine in 1975, the Gold Wing has always aspired to be the ultimate in two-wheeled travel with an enduring and unrivalled reputation for luxury, quality, comfort and reliability. 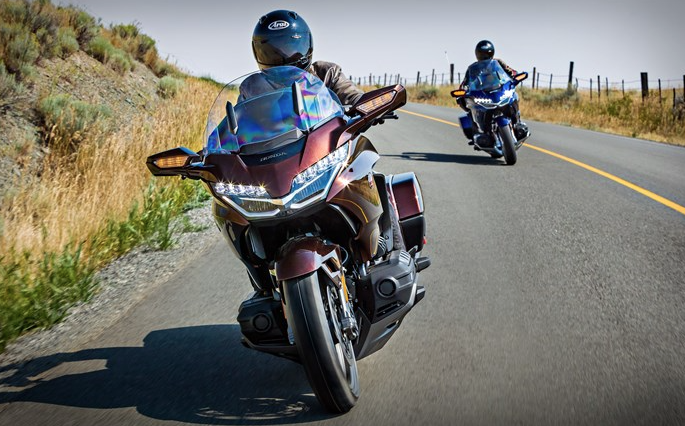 The 2018 GL1800 Gold Wing is brand new from the wheels-up. It still has an evocative, flat six-cylinder engine that delivers an avalanche of torque and power, and it still remains Honda’s flagship tourer, loaded with features that allow two people to ride in style. Yet it’s smaller, lighter and much more agile. As happy on an urban commute as it is the open road, the Gold Wing is now a bike for all reasons and all seasons. 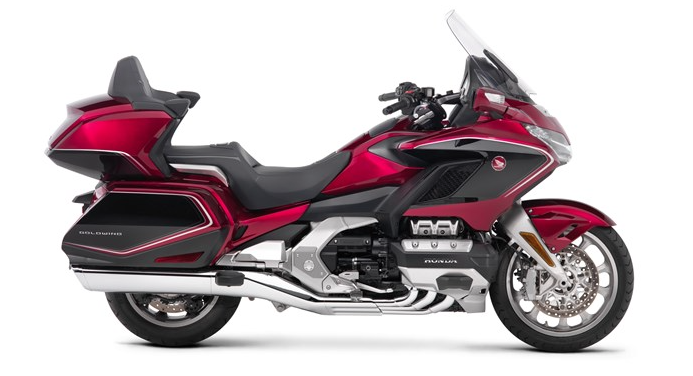 Redesign project leader Mr Yutaka Nakanishi said: “We wanted our new Gold Wing to maintain its luxury but to be a much more “rounded” motorcycle. A machine as useful to its owner around the city as it is out on tour. And more exciting to ride than ever. Sharing a common engine and chassis platform, the new Gold Wing will be available as the base model GL1800, and as a “Tour” edition with top box. Depending on the variant, up to 48kg has been saved compared to the previous model. Optimised for size, the new flat six-cylinder engine has lost none of its power, torque and addictive delivery. Throttle By Wire has been added, with four rider modes; TOUR, SPORT, ECON and RAIN. The performance improvement is matched by even greater levels of relaxation: the stylish, aerodynamically-efficient fairing channels air around the rider and the electric screen adjusts for preference; the seats provide all-day comfort. Capacity of the fuel tank is 4 litres less at 21 litres. But as the new Gold Wing is so much lighter and more aerodynamic, improved fuel economy of 50.4 mpg means tank range is not compromised. 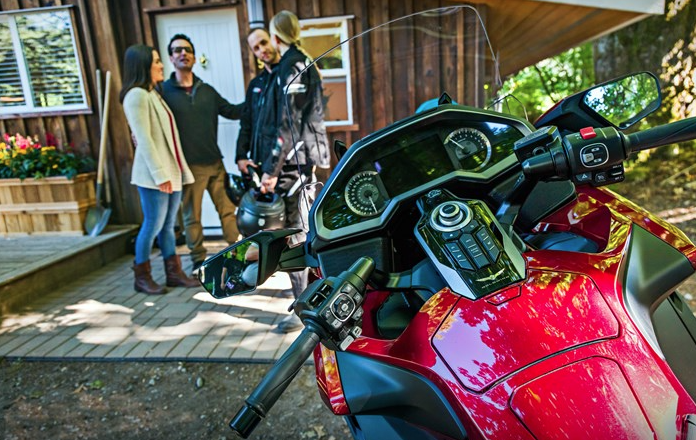 With manufacturers making their touring motorbikes more comfortable than ever, they are becoming an increasingly popular way to get out and about to see the world. Bikesure has kept up with this demand and offers high quality touring motorcycle insurance to meet your very special needs, ensuring that you and your belongings have the very best insurance cover at the very best price.